Best friends are like family. Looking for right words to tell your friends how much they mean to you? 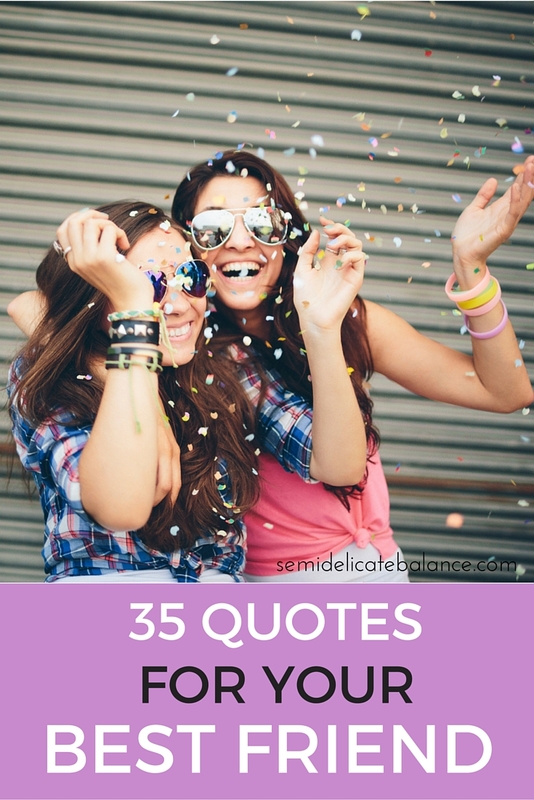 Share these quotes on friendship with your best friends. She’s your best friend because she believe in you when you don’t believe in yourself. It’s not what we have in life, but who we have in our live that matters. “A friend is a second self.” ― Aristotle.